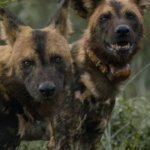 Two wildlife charities have joined forces to tackle the ever-rising threat to wildlife in Southern Africa. Saving the Survivors, a wildlife rehabilitation & conservation charity and Project Red, a UK based conservation charity have come together. Their combined focus will be on combatting the impact of poaching and delivering a wider conservational strategy through their own initiatives, as well as working with and supporting other local and global projects. 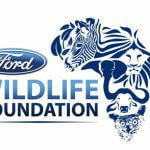 Saving the Survivors, whilst currently focused in Southern Africa, has assisted globally in conservational projects. 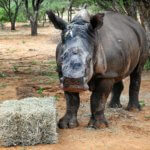 Their current aim is to help endangered such as rhino, elephant, cheetah and wild dog who are affected by many issues, not least the persistent escalation of violent poaching in Africa and human-wildlife conflict. 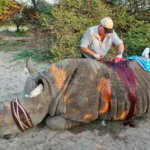 Dr Johan Marais, founder of Saving the Survivors, works largely in the field in Southern Africa with a team of vets and professionals, attending to injured wildlife that have fallen victim to poaching and traumatic incidents. 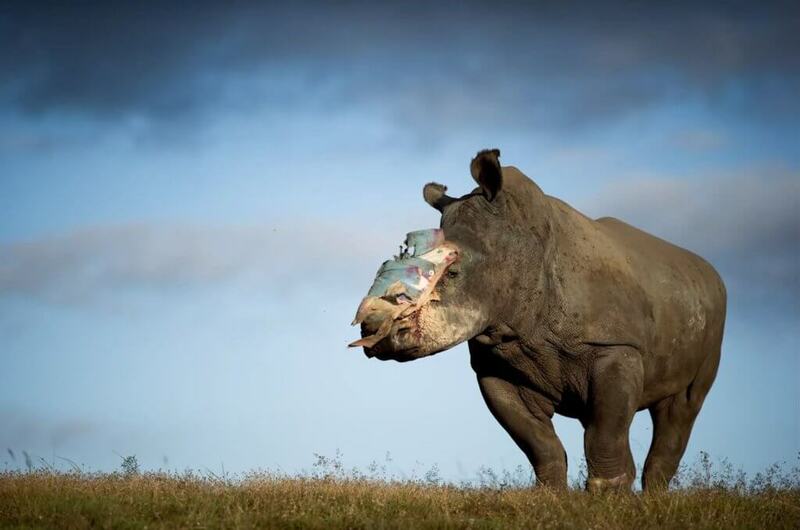 Saving the Survivors have made headlines for their pioneering surgical procedures which have helped ensure poached rhino who have had their horns hacked off, have a fighting chance of survival. (Watch Hope’s story here: https://bit.ly/2IDHx73) The critically injured are treated within their natural environment and rehabilitated by a group of specialists who help them to adjust to life after trauma. Established in 2015, Project Red was founded by Paul Naden, a prominent businessman who sold his business interests in order to focus on wildlife conversation. Over the course of the past three years, Paul has dedicated his time to researching and visiting various anti-poaching and conservation charities in Africa, supporting where he can and looking for a long-term partnership. Having spent time with Johan and Saving the Survivors, Paul witnessed first-hand the inspirational and ground-breaking work they do and together they decided to join forces. The two charities will work together with local and national authorities to reduce the continuing threat and effect that poaching has on endangered wildlife, working together to deliver a long-term, sustainable strategy. The partnership will ensure Saving the Survivors receives unparalleled support from Project Red which will, in turn, allow them to expand their resources and reach. This will enable them to support wider projects and diversify geographically on a more sustainable, structured basis. 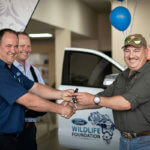 The partnership further aims to enhance the fundraising and educational offering of Saving the Survivors which will increase conservation awareness and activity. 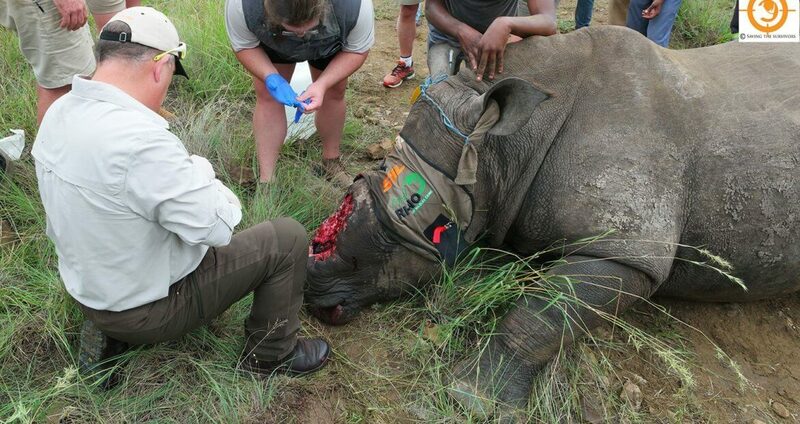 This will ensure Saving the Survivors can continue to be the literal lifeline for many injured endangered wildlife. Paul Naden from Project Red commented, “I met with Johan and Saving the Survivors around 18 months ago and I was immediately moved by their conservation work. “Project Red does not profess, or seek to be an expert in the field, instead seeking experts who we can support, experts who make a difference and experts who can be measured by their results, and that is Saving the Survivors in every regard. 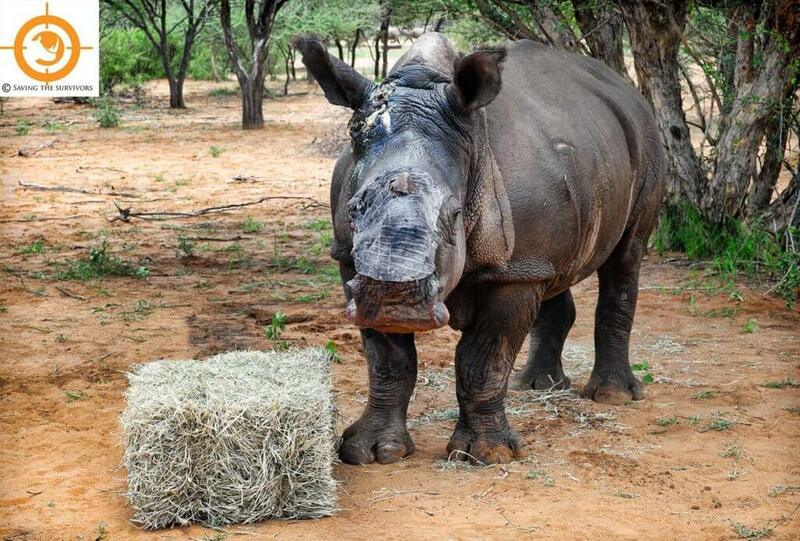 Their work is nothing short of inspirational and the stories of the animals they have treated and saved is remarkable. We’re looking forward to supporting them in every sense and adding value to what they do. Together Saving the Survivors and Project Red aim to tackle the issue of conversation, protection and other related initiatives head-on, making an enhanced difference to endangered wildlife around the world.